The fickleness of humans never ceases to amaze. For some reason, black dogs are more likely to be overlooked in shelters by potential adopters, and thus more likely to be euthanized. 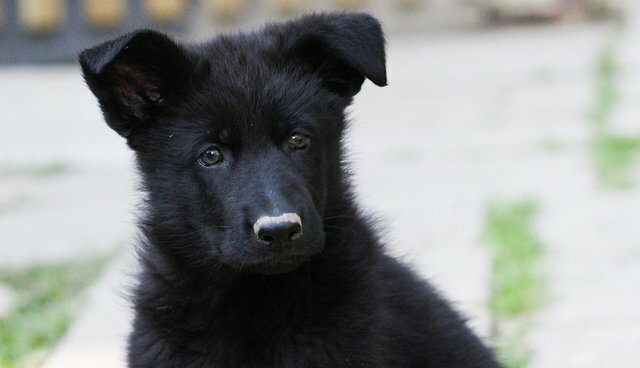 The explanations for this phenomenon, known as "Black Dog Syndrome," range anywhere from superstition to a sort of blind eye; black dogs simply don't stand out as prominently as other dogs, and are thereby rendered invisible. 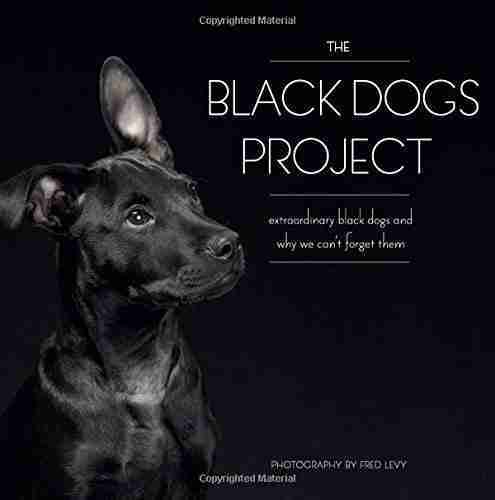 Fred Levy had been taking a series of photos of black dogs for the Black Dogs Project in order to help display their worth in a better light, perhaps rectifying their invisibility. Now he has encased the collection of over 50 portraits in this beautifully produced volume. Each photo is accompanied by the dog's bio as told by his or her human companion. All found their homes because their person was drawn to a distinctive personality, a look in the eye, or that strange, inexplicable connection we sometimes discover with another creature. One pup helped soothe fraught nerves of fire fighters after the Boston Marathon bombings. Another helped raise his human, staying with her through young adulthood and beyond as a steadfast supporter of all she did. No dog deserves to be abandoned, abused, or neglected. If some are simply overlooked because their true beauty is hidden under a dark bushel, then Fred Levy's wonderful work will certainly provide their much-deserved day in the sun! And if you are looking for a dog to join your household, be sure to judge by the temperament and not by the color, or absence thereof.